Winter may put a damper on many of your household projects you’d like to accomplish this year. As winter sets in, we often find ourselves spending more time indoors. Some people like to create cozy spaces in their home, reorganize and repurpose their rooms, and make a great new area to hang out in. 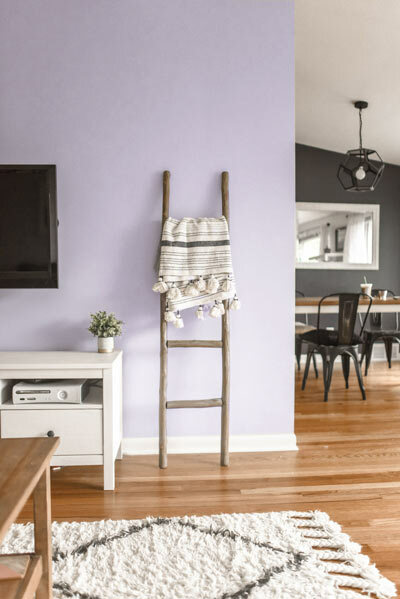 Spending extra time at home in the winter can be a good thing, but freshening up the paint colors in your indoor spaces can be an enlightening project! Many people may not realize it, but winter is actually a great time to repaint your home. We’ve compiled this short list of wintertime tasks and house-painting ideas that can help you brighten up your home from the inside out. Winter is the perfect time to get started on the interior of your home. With the Nashville winter climate, this is usually a less humid time of the year, which is great for painting. Excess moisture in the spring and summer can keep the pain wet for longer, oftentimes creating issues with drying time. If your paint doesn’t dry properly, it doesn’t bond to the walls properly. This time of year also lends itself to painting indoors because it’s a bit easier to control the temperature in your home in the winter. For the best drying results, try to keep the minimum temperature around 60 degrees Fahrenheit. The biggest challenge for homeowners wanting to paint the interior of their homes this winter will be proper ventilation. With the colder weather outdoors, opening a window may not be conducive for your home and heat retention. Although, it is generally ok to crack a couple of windows or use an exhaust fan for your interior house-painting task. With the many low VOC, water-based paints on the market today, vapors from painting are not as serious as they once were. Of course, if you have any questions or need the help of a professional painter, the team here at American Service of Tennessee are always on standby to lend a hand in your house-painting project. You can easily reach us with any questions or to get a consultation in your home by sending us a message at the bottom of this page. Each year brings with is great new color palettes that can turn your boring or bland space into something much more appealing. This year, warmth and inviting shades are in. Go through your home and take not of which rooms feel dark or unwelcoming. Make a room feel larger and brighter with a light hazelnut paint color. Light tends to bounce more off of this creamy, warm color. 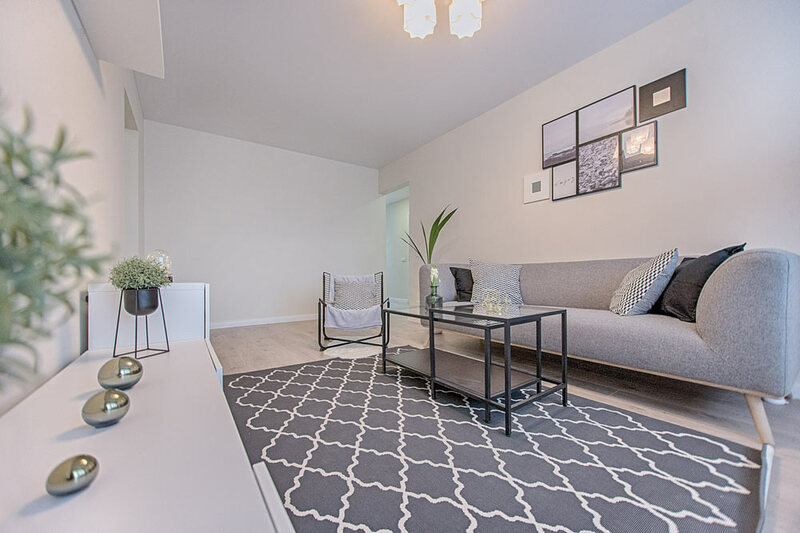 Another great option for brightening up a neutral color idea is a light shade of gray with just a hint of blue undertone. Make your living room or dining room come alive with a minimal feeling using a light shade of gray with blue or lilac undertones. Muted pastels can also be a great addition to any room, especially kitchens or bathrooms. The airy feeling of a muted pastel brings good vibes to rooms that sometimes get overlooked in the paint department. For bedrooms, hobby rooms, or play rooms, letting your creative side show through is a good thing! For kids’ rooms, a great way to get creative is to use stencils or do a rough sketch first on paper of the design you’d like to see. Of course, check Pinterest for plenty of great ideas to help get you started on a design! Incorporate shapes or nature into your child’s bedroom. Bringing in familiar shapes, patterns and natural elements through paint gives a calming feeling to children. 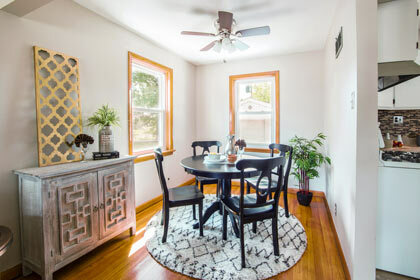 If you need help through the house-painting process or would rather just hire a professional to complete your interior painting for you, don’t hesitate to reach out to us!